1,2-Diethylbenzene is used as an intermediate and a building block in organic synthesis. 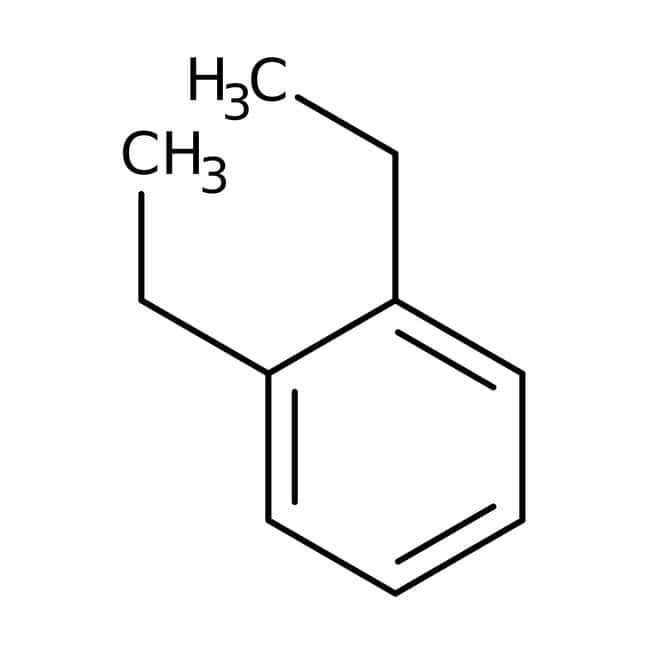 1,2-Diethylbenzene is used as one of the chemical composition of essential oils from flower and leaf of korean mint. Miscible with alcohol, benzene and carbon tetrachloride. Immiscible with water. Keep away from sources of ignition. Keep container tightly closed in a dry and well-ventilated place. Incompatible with strong oxidizing agents.